Machu Picchu is a place that captivates most people getting around its monumental citadel. However, the journey to get to this millenary sanctuary can make you have one of the best experiences in your life. 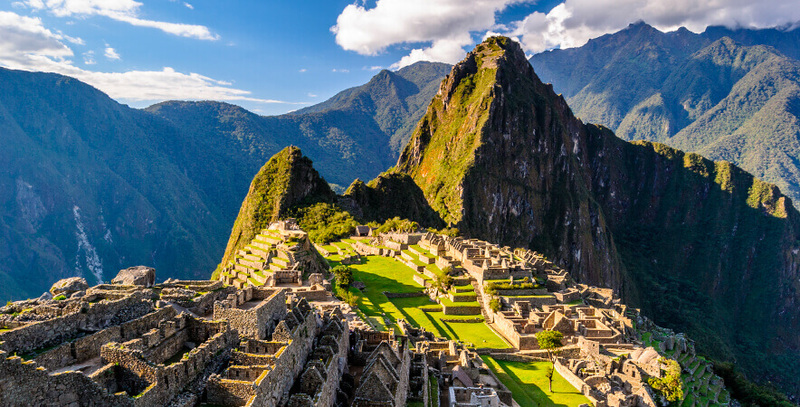 Machu Picchu, recognized as one of the seven wonders of the modern world, offers visitors an amazing adventure that will fascinate them from beginning to end. There are many ways to reach this World Heritage Site, from taking the legendary Inca route by trekking to traveling on a deluxe train, which will take you to Machu Picchu with all comforts. All will depend on the budget and the kind of adventure you are seeking for. This time, we will explain the way to get to the Inca Citadel by train from Poroy Station (Cusco) in ten steps. To make the most out of the visit to Machu Picchu, the first step we encourage to take is buying round trip train tickets in advance on www.perurail.com so you can avoid any setback. You will find various train stations to the citadel of Machu Picchu in this website. 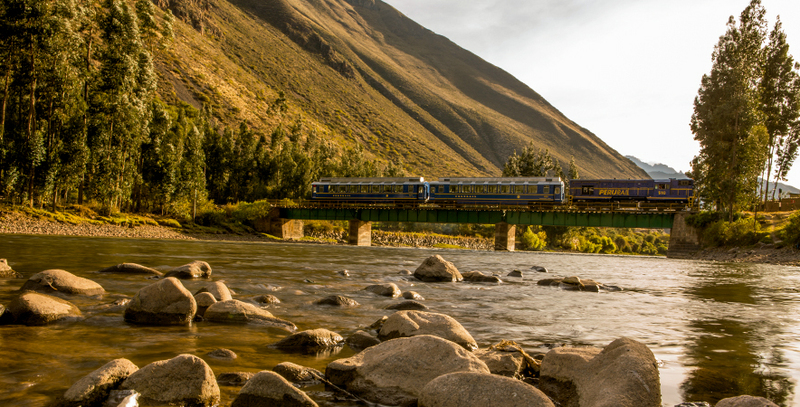 Poroy Station is one of closest stations to the city of Cusco and the most convenient to start a journey as it is just about 20 minutes away from the city. Furthermore, it offers many departure schedules for its various train services. There are two ways to get to Cusco if in Lima; you can go by land or air. If you choose to go by plane, you should go to Jorge Chavez Airport, located at Avenue Elmer Faucett s/n, Callao. From this place, local and foreign tourists can start their journeys. It is advisable to use this means of transportation because it is comfortable, safe and quick. In addition, it will take approximately 1 hour to arrive in Cusco. Nevertheless, if the local or foreign traveler is in any other region that is not Lima, he or she may go directly to Cusco from these places by land or air. It would be also ideal to travel by plane to get shortly to the Imperial City. 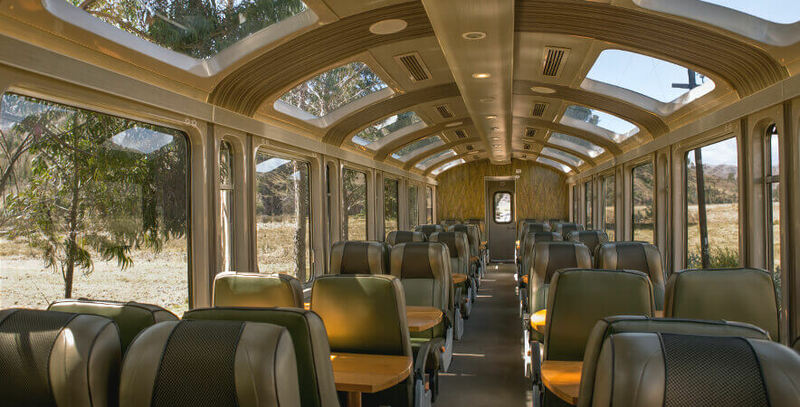 It should be noted that there are other options such as the PeruRail Titicaca Train and the Belmond Andean Explorer (if coming from Puno), bus or private transportation service. From the airplane, you will be able to see the bright sky of Cusco and the houses surrounding the Velasco Astete airport, located at Velasco Astete s/n, Wanchaq, Cusco. The flight to the Imperial City takes approximately 1 hour from Lima. From this airport, you will be able to take a taxi or a private transportation service to the hotel where you will be staying. We recommend that the traveler rests in a hotel at least one night to acclimatize to Cusco height so he or she will be able to make the tour in best conditions. To enter to Machu Picchu, you can buy tickets at the Ministry of Culture authorized box offices, located at Calle Garcilazo SN – Museo Casa Garcilazo, Cusco. Tickets are also available at the Cultural Center in Machu Picchu Town (next to Plaza Central); it just requires showing IDs such as National Identity Card (DNI) for Peruvians and passports in the case of foreign people. Do not forget that set-out payments are in local currency (Soles) and cash. You can also book and pay the entrance ticket online on this website http://www.machupicchu.gob.pe/. If you are in the city of Cusco, you should go to Poroy Station (Cusco) as a starting point to travel to the mystical Machu Picchu. There are two ways to reach this point, by taxi or private transportation service if you booked a tourist package. The trip will take about 20 minutes. It is recommendable to arrive at Poroy Station 30 minutes before departure of the train chosen to make the trip. At boarding, you should show the train ticket, ID (DNI for Peruvians) or passport (foreign people) to appropriately check in. The trip will take approximately 3 hours, 30 minutes, and will have one stop of approximately 10 minutes at Ollantaytambo Station as some travelers choose to start their journey to Machu Picchu from said station in Valle Sagrado (Sacred Valley). After approximately 3 hours and 30 minutes, you will be arriving at Machu Picchu Station, the last train stop, located in Machu Picchu Town. From this place, reaching the summit of the Inca Empire is just a few minutes away. It is recommendable to buy round trip tickets so you can return on the bus to Machu Picchu Town with no problems. To reach this place, you will have to walk for approximately 15 minutes; first, you should pass through the market, located outside Machu Picchu Station towards the bridge, then cross it over; underneath, you will see a ticket office, located at Av. Hermanos Ayar S/N, Machu Picchu Pueblo, where you should buy the tickets. After purchasing the tickets to Machu Picchu, you should wait a few minutes at the bus station, located right in front of a stall where bus tickets are sold. The ascent to the Inca citadel will take approximately 25 minutes by this means. But if the traveler does not want that option, he or she can get to the summit by trekking in two hours. Dream destination is finally reached; there you may get to know Machu Picchu in detail. Travelers have the option to get around the citadel by themselves or hire a tourist guide that will explain all history and construction of this architectonical jewel of Inca Empire in the very entrance to the citadel. When the tour around Ancient Sanctuary is over, do not forget to go to the same stop where the bus left you to return to Machu Picchu Town. It is necessary to have cash and Peruvian currency money to avoid any problem. It is time to get around the impressing walls of Machu Picchu! Peru’s wonder for the world.